Allegro Music provides quality professional musicians for weddings, corporate events and other gatherings in North Carolina. Our two office locations (Asheville and near Winston-Salem) make us particularly responsive for Asheville weddings, Triad weddings and special musical events in both areas. Allegro Music is owned an operated by Corine Brouwer. 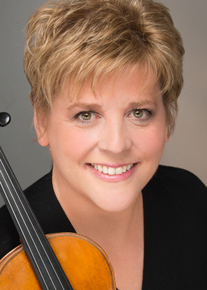 Corine is well known to audiences throughout North Carolina as a recitalist, chamber musician and orchestral concertmaster, currently for the Winston-Salem and Carolina Chamber Symphonies and the Asheville Lyric Opera. Her many chamber music performances include the International Bartok Festival. She has appeared as soloist with many orchestras, including the premiere of Hilary Tann’s “Here the Cliffs” (a national “Meet the Composer” award winner) with the North Carolina Symphony. She has also performed with pop artists in a variety of settings. Corine’s close contact with many of the best musicians in North Carolina make her the perfect choice to provide outstanding musical quality at your event. And her years of experience working with events planners and directly with clients on a wide variety of events ensures complete professionalism. Allegro Music is competitively priced, with the ability to put together musical groups of varying sizes for varying budgets. Please use the form on the Contact Page to give Corine an idea of your needs, or give her a call. Office phone: 828-279-3645 or 336-923-4332. Allegro Music would love to assist you as you create your own perfect occasion. Thank you a thousand times for your trio's performance on Saturday, there wasn't a dry eye in the house. You and your musicians are absolute professionals and were a big part in making the ceremony a beautiful memory for everyone there. You helped make a dream come true for my wife and for that I will always be grateful.